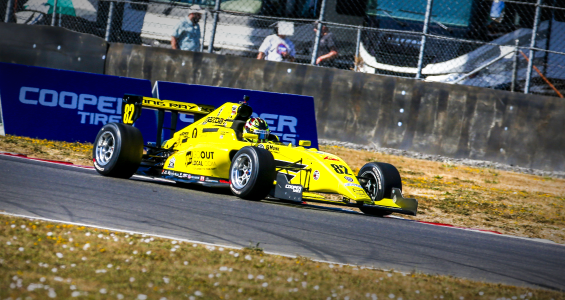 PORTLAND, Ore. – Jonny Baker, Team Pelfrey General Manager: "It’s almost surreal that the final weekend of the 2018 Mazda Road to Indy season has come and gone. What a great event IndyCar put on at Portland International Raceway and it was great to see the Team Pelfrey crew once again showing great speed and poise. The highlight was a well deserved podium for Julian van der Watt in Race 2 thanks to an incredible drive, Kyle Dupell with top 10 finishes in both races at his home event and Sting Ray Robb showing front running pace in Pro Mazda despite being compromised at turn 1 in Sunday’s race.